We understand that pets are family. That’s why we’ve updated our pet policy to ensure you never have to leave your loved one behind. no matter their size, weight, or breed, all at no extra charge. + A selection of hotel amenities and extras in your guest room, food, water bowls , treats and mats. 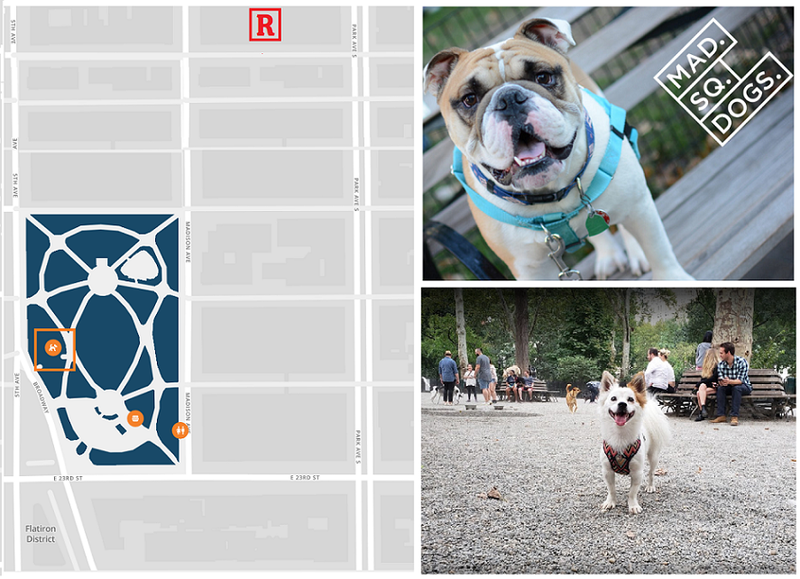 + A concierge list of nearby pet-friendly restaurants, parks, groomers and pet boutiques. + Door hangers alert other hotel guests and staff that your cat, dog, or other beloved pet is in the room. + Courtesy bags for walking your dog. We’re only five blocks from Madison Square Park. Voted one of New York City’s top dog runs by CBS New York, this run allow all dogs to run around off-leash and free-spirited! Great reviews (and great videos) for this place!